If preventative methods fail and animals become ill there are some pain medications, dewormers and other approved synthetic substances, listed on the Nationals List, that can be used under certain circumstances in organically certified operations. These products should be used per the label in full compliance with AMDUCA and other pertinent FDA Regulations. Many of the substances listed contain restrictions on their use or must be followed by extended withholding periods. It is important to note that not every substance on the National List will be permissible according to AMDUCA if there is no data to establish a withdrawal interval recommendation or from an extra label drug use (ELDU) standpoint. 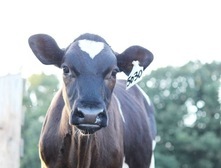 Veterinarians and producers are recommended to verify the restrictions or annotations that accompany the substance, as stated on the National List, before use. Additionally, it is recommended to make sure that any new medication, ingredient or substance is listed on the Organic System Plan and to keep detailed records of all use, product brand name and manufacturer. 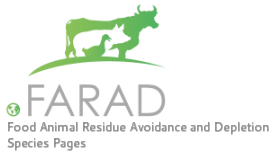 FARAD recommends contacting your certifier with any doubts or concerns regarding the approval status and use of synthetic products and new ingredients. All additives used in organic operations must be certified as organic and/or on the National List. Additionally trace minerals and vitamins must be FDA approved and can not contain any prohibited substances. If approved methods fail, livestock must still be given all appropriate treatments. However, if an animal is treated with a prohibited substance (antibiotics, synthetic substances NOT specified by the Nationals List, etc. ), the animal and its products may not be sold or marketed as organic thereafter. Parasiticides may NOT be used on organic slaughter stock. Complementary and alternative veterinary medicine (CAVM) treatment options, such as herbalism, homeopathy, acupuncture, chiropractic, and other nontraditional methods, are acceptable to organic production as long as they provide needed relief and care for the animal. However, scientific evidence is lacking for most of these methods, and some certifiers will object to their use. Using ineffective methods to treat a sick animal is noncompliance with organic regulations. **Use of these methods when an appropriate, though prohibited, method is available may be a violation of the regulations. The FDA recognizes the drugs and standards in the Homeopathic Pharmacopeia of the United States and its supplements. The FDA provides guidance on the regulation of OTC and prescription homeopathic drugs in ﻿CPG Sec. 400.400. Even though homeopathic drugs may be considered as drugs by FDA, it does not mean their use is included under AMDUCA. In order for any drug to be included under AMDUCA the product has to be FDA Approved. As a result ELDU may not be permissible as AMDUCA permits ELDU for FDA approved drugs only.